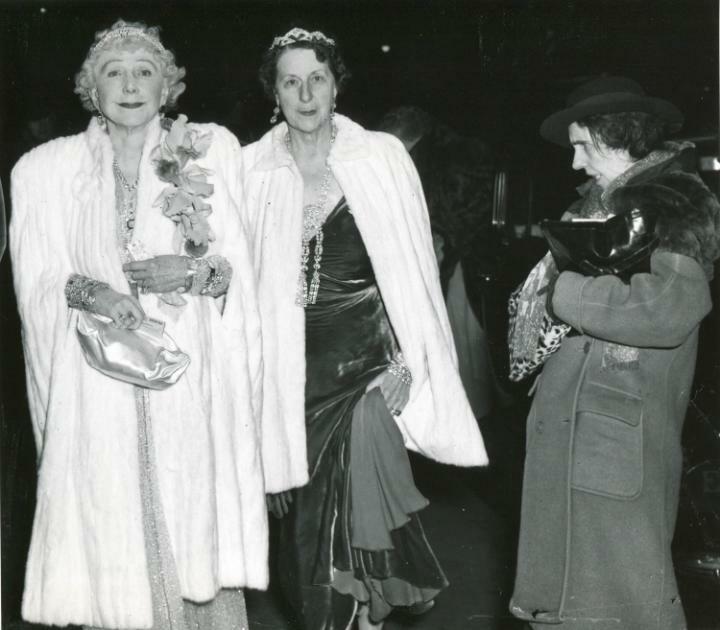 Arthur Fellig, known as Weegee for his uncanny ability to beat the police to a crime scene, took this picture on the opening night at New York's Metropolitan Opera. The encounter between the society women and the snarling drunk on the right feels like a stroke of luck. In fact, Weegee's assistant had picked up one of the regulars at a local bar, plied her with cheap wine and, on Weegee's signal, sent her lurching into the frame. So they're not drag queens, then?